This article has been updated with comments from Jerry Edwards, director of housekeeping in the Health Science Center Basic Science Tower, and a response from Frances Brisbane, Stony Brook’s vice president for Health Sciences Workforce Diversity. Frances Brisbane, Stony Brook’s vice president for Health Sciences Workforce Diversity, has pledged $1 million to the university to start a fund to benefit SBU custodial staff. More than half of the $1 million planned gift from her estate, called the Owens-Brisbane Well-being and Educational Advancement Endowment for Health Sciences Custodial Staff, is allocated to educational opportunities for the cleaning and housekeeping staff and is partially designated to aid hardships encountered by workers. Jerry Edwards, director of housekeeping in the Health Science Center Basic Science Tower, said that workers come from all walks of life — listing Turkey, Peru, Colombia and Santo Domingo as a few examples — and sometimes need help with traveling expenses if there is a family emergency, for example. Brisbane — the former dean of the School of Social Welfare — made the donation to honor the memory of her friend and former Stony Brook custodian, Elsie Owens. 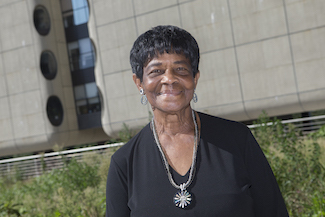 In an interview last week Brisbane told Newsday about the time she arrived at Stony Brook 50 years ago to interview for her position at the School of Social Welfare, Owens pulled her aside and offered advice about the office’s dynamics. Brisbane later got the job, and she and Owens remained friends until 2005, when Owens passed away at the age of 77. Owens and Brisbane connected over their passion for community activism. Owens served as president of the Brookhaven chapter of the National Association for the Advancement of Colored People (NAACP) for 20 years. She and Brisbane attended civic functions together, and when Owens went back to school to get her master’s degree in social work, Brisbane helped her. In the past, Brisbane has donated nearly $500,000 to the university, according to U.S. News and World Report. Her generosity cannot only be measured in dollars, however. She consistently gives gifts to the custodial staff — just last week, she made Halloween bags, and Edwards said that she has even donated multiple turkey dinners in the past for Thanksgiving. Brisbane did not have time to interview with The Statesman, she wrote in an email.